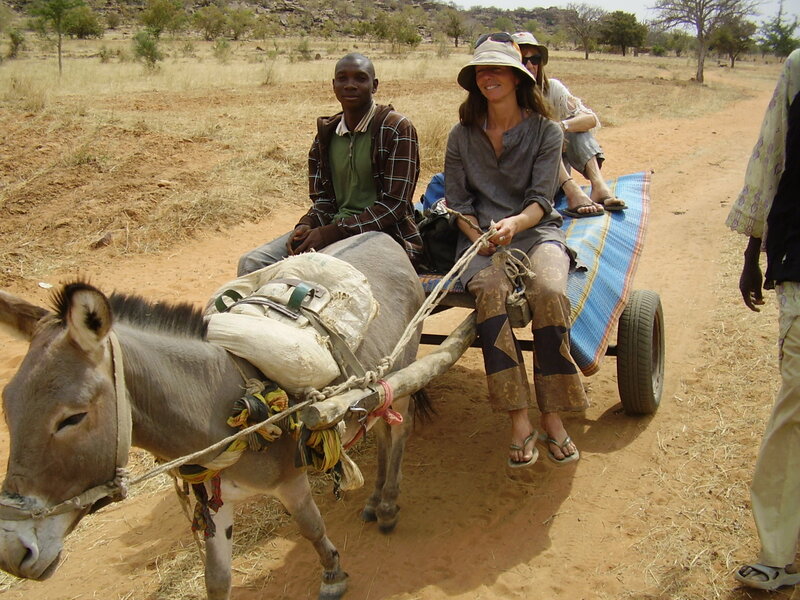 This week’s Best Women’s Travel Writing 2010 contributor has taken care of wild birds and raccoons in rehabilitation centers, traveled by white horse in West Africa and Mongolia, and lived with the Fulani and Bambara people of the Sahel: Erika Connor. Home, for me, is always somewhere close to earth. I grew up beside a provincial nature reserve of boreal and mixed-hardwood forests where I played and found shelter. It was where I learned about myself, the deeper, stiller self under all the layers. On my travels I have felt at home in a tent, a Mongolian ger, a clay hut. I love these intimate spaces, round walls shaped by hands, made of earth or wool where all the families’ belongings are kept in baskets under the bed, or hung from the rafters. I remember sitting around the chief’s fire in the Manding Mountains in Mali, where the old women touched my face and fed me peanuts, I remember places in Mongolia or Senegal where the homes smelled of milk and the spice of a dung or wood fire, where often a tiny lamb slept in a corner or a chicken and her chicks. I now live ‘off the grid’ in a little camper on the rolling hills of a farmer’s field in Quebec, surrounded by milkweed and clover and forests of cedar, pine and maple. From there I can’t see a house or a light. The coyotes sing every night, as do the loons. When I was 20 I was accepted into Canada World Youth, a six-month youth exchange program between Togo, West Africa and Quebec, Canada. The Togolese came to Canada first where we were paired up and placed on farms. The next three months we lived in a village in northern Togo. This whole experience brought me to life. I remember in Quebec lying on the hay cart under the stars after two weeks of hard work bringing in the hay, and the first time I ever milked a cow, and plucking the chickens after the slaughter. I remember the little village in Africa, where I witnessed a birth in the little clinic and took part in an old woman’s funeral, dancing around the stretcher as she ‘led’ us through the village one last time. I learned to pick cotton and harvest yams and okra, pound yams in a giant pestle, crush peppers with a stone on the village grinding rock. I experienced the vibrant markets of strange spices, roots and plant medicines, where food was served on leaves, and millet beer came in gourd bowls. I learned that people spoke to spirits. I saw trance rituals and went to visit a medicine man on a night of full moon. My first writing was fiction and I won an award in university for a story I wrote about a woman living in Togo who had had a baby with an African man, abandoned the baby, then returned years later to reclaim her daughter. I have written five books and six novellas and a variety of short stories and poetry, but have had trouble getting published. I have always kept a journal at home and on my travels. In a local newspaper I published eight articles on my experience living for six months in Bamako, Mali, about magic and medicine men, sacred hunters, antique dealers, student life and protests, fatalism and beliefs. 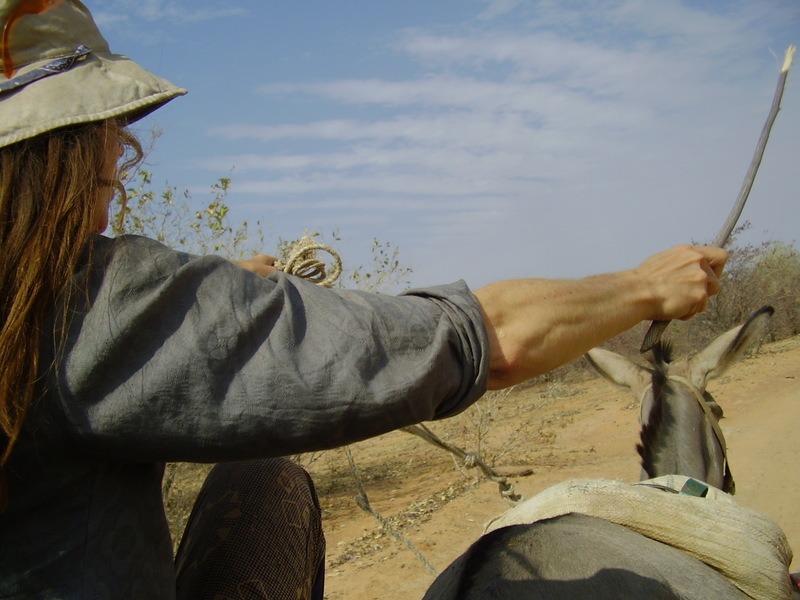 I had written a book about my journey by horse across Senegal into Mali and sent it off to publishers here in Canada, but was unable to find any interest. I had read and enjoyed the Travelers’ Tales anthologies and decided to send an excerpt from my book. I was in Mongolia when I received the good news. If I can help it I won’t be going to a nursing home, but living in a cabin in the woods. I would like to sit with Joseph Campbell around a fire in the Sahara under the great starry sky and talk about how to live the myths in modern times. I would choose the desert because it is place where everything is honed down to bare surface. There is nothing but the sand and the sky and you in between and so it is easier to go within. I would like to meet Tin Hinan, the legendary Amazon Queen of the Tuaregs and follow her as she led her people from Morocco into the Sahara and know what it was like to live in a matriarchal society. I would like to meet Boudicca, ancient Queen of Britain and learn what it was like to fight off the civilizing force of the Romans and stand for the nature worshipping peoples. I would also like to meet ‘The Ice Maiden’, a mummy found recently in Siberia with deer tattoos on her arms, and learn about her people and their beliefs. I feel the place to find is the centre of oneself, to know what it is that we need to learn and how a certain place, being or situation can inspire us to find it. To prepare a journey I am always very sensitive to my dreams and feelings. I follow that pull, that yearning. Where and what do I feel drawn to? What is it that I need to move towards? I love to study maps and look at photos. 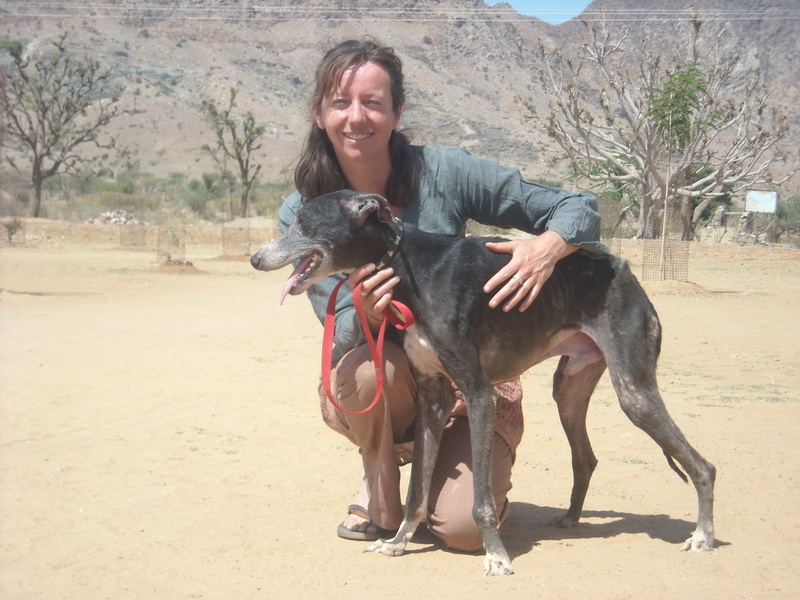 I research websites for places and volunteer work that will enable me to integrate into a small community, in a landscape that calls me. I always go on intuition. Dervla Murphy, Christina Dodwell, Alexandra David-Neel, Ella Maillart, Dian Fossey, Jane Goodall, Mike Fay, Tom Brown, Ian Douglas-Hamilton, Marias Gimbutas, J. Allen Boone, Kinship With All Life, Clarissa Pinkola Estes, Women Who Run With The Wolves, Sir James George Frazer, The Golden Bough, Robert Graves, The White Goddess, and a long list of books on spiritualism, shamanism, plant medicine, bushcraft, animal tracking, dreams, trance, Buddhism, language, mythology, quantum physics, ancient history and prehistory. Being drawn so strongly to a place and culture that I got lost in a relationship that led me away from myself. Don’t be afraid. Follow your heart. Know yourself. You are my daughter, my friend, my inspiration. To me, you are a kind of a goddess, your depth of thought, your creativity and understanding of life are a saving grace in a world full of ‘wired’ techno people who never listen to the birds, look at the sky, hear the wind rustling in the tree tops. Thank you for being in our world and for this excellent interview. I just read Winter of Dogs and am eager to read more of your work! And I really enjoyed reading this interview. This is inspiring.